It was a summer day when Alex Adcock jumped on his trampoline, his fate bouncing with the wind. He attempted a double front flip, an acrobatic trick he had done a hundred times. His agile and athletic body finished the first flip but as Alex was rotating into the second flip, his forehead caught the mat. This motion proved to be catastrophic to Alex’s spinal cord. He lay still, unable to move or breathe. Luckily, Alex’s sister was outside, and ran inside to get their mother. Kristy, Alex’s mother administered CPR until the paramedics arrived. 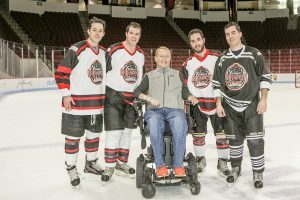 Alex was taken to a nearby children’s hospital where he stayed for two months in a drug-induced coma when he was then able to withstand spinal surgery. Alex’s injury was quite severe damaging his second and third cervical vertebra. The surgery took 11 hours to fuse the base of Alex’s skull to his fifth vertebrae. After Alex’s extensive surgery it seemed the worst was over but three days into recovery, a tracheotomy was attempted. Unfortunately, during this procedure Alex’s artery was cut necessitating emergency heart surgery. Despite losing six pints of blood Alex overcame the botched tracheotomy. Miraculously, his brain function tested normal. Alex’s body healed to the degree where he could travel to the Shepherd Center in Atlanta, Georgia for rehabilitation. He stayed for two months receiving physical therapy, education on his daily care, and learned to use a “sip-n-puff” wheelchair. He worked diligently towards becoming more independent. With his sleeping complications resolved, Alex looks forward to a brighter future. He enjoys going to the movies and school. Despite a busy schedule, Alex has persevered in his academics. Now a senior in high school he is not only an honor roll student, but a member of the National Honor Society. He has his sights set on college where he will major in engineering. 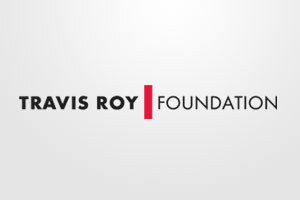 Once again, Alex’s story reiterates the difference a Travis Roy Foundation Grant can make in the life of a spinal cord injured survivor and his or her family.